If you had a great time in Venice and you want to take a bit of the city back home with you, to have a memory or to surprise your friends, find the right souvenir shops where you can buy unconventional and authentic pieces. in the living room into a piece of the Serenissima. The right place for you is the Antica Tessitura di Luigi Bevilacqua. It is an enchanting place located in the district of Santa Croce. If you like beads made of the famous glass, you absolutely have to buy the real ones, not the fake ones you can find everywhere. In fact, most of the time, they are made abroad and sold to tourist as authentic souvenir. That’s not fair, so go to the right places, such as the Anticlea Antiquariato, a tiny shop where there is a nice owner who is more than happy to show you her private collection. You can buy necklaces or bracelets which are very sophisticated, or simply choose the beads you are interested in, in order to make your own jewerly once you are back home. These objects are rare and an original way to remember a place where you had a romantic holiday with your lover. 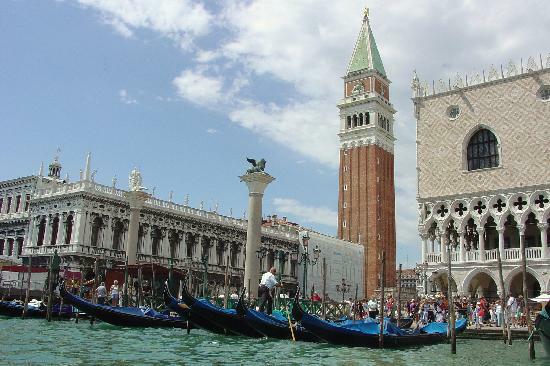 What a perfect gif for your friends, who will ask you everything about Venice and the gondolas, as well as Piazza San Marco and the monuments. Invite them at your place, and while you tell them all the stories, give them the presents. They will be surprised and they will envy you for sure!